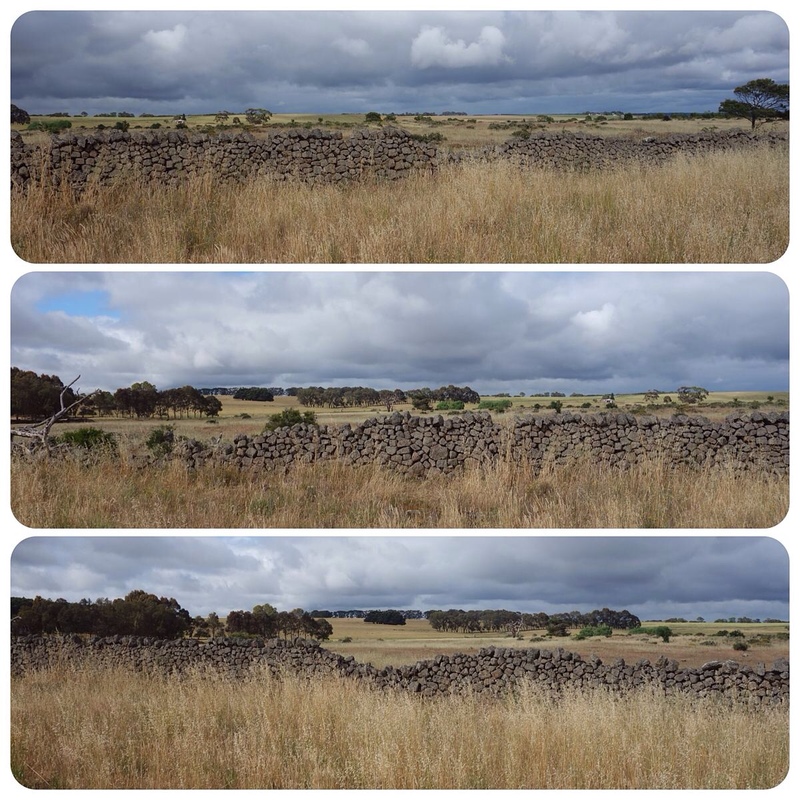 The western plains of Victoria are amongst the world's great basalt plains and here the many lava flows have weathered into broken volcanic stone fields inviting craftsmen and farmers to build drystone walls. 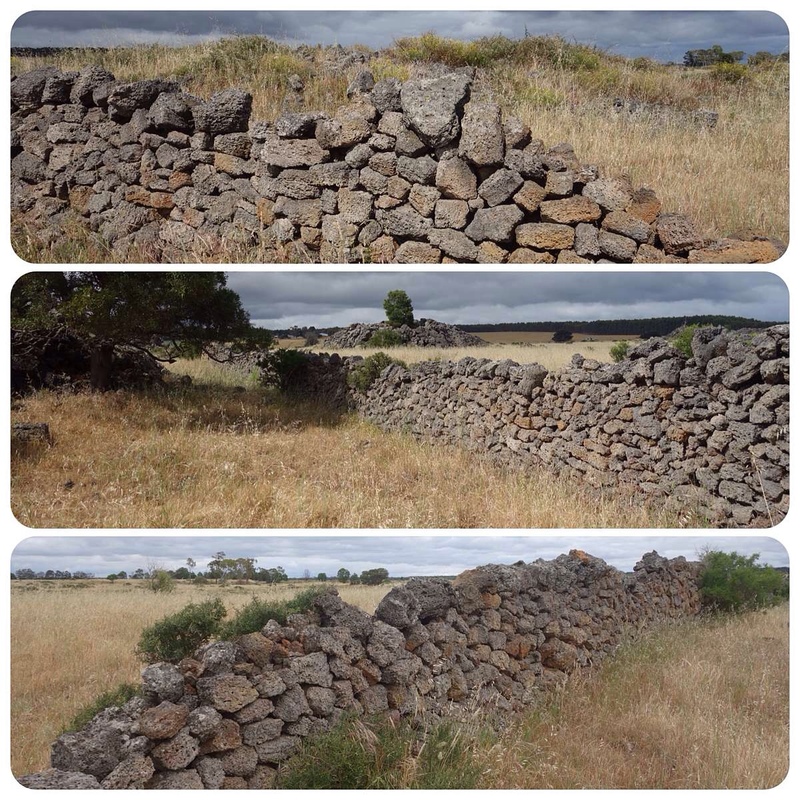 There is even a drystone walls heritage trail to guide you to the most significant walls. The area around Budj Bim is rich in such walls. Obviously paddocks need to be cleared if they are going to be used for any sort of farming, and the mind boggles at the amount of work long stretches of stone-walling represent. 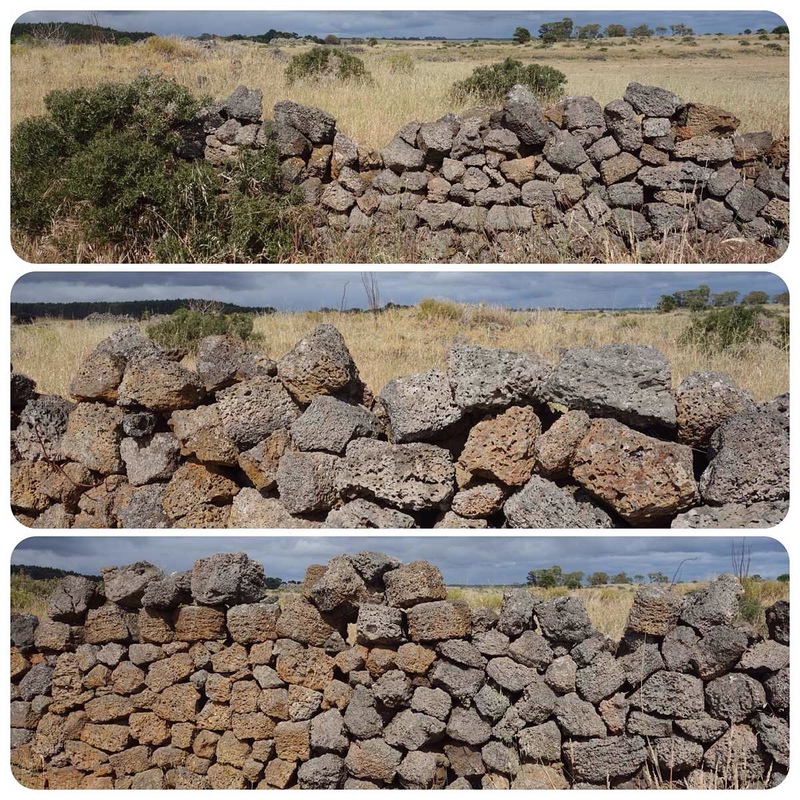 Later walls were built to deter rabbits and fire. Near Byaduk Caves is a stretch of wall and a faded panel which describes the building process and offers the technical language of the craft: coping stone, wythes, wedge stone, through stone, hearting stone. This wall was built by two men on opposite sides of the wall, maybe creating two or three metres a day. It wasn't only Johnny-come-lately settlers who used the stone of this area for building. In this part of western Victoria, Aboriginal people built stone huts and an extensive system of stone channels, weirs and fish traps in Australia's earliest and largest aquaculture venture. The Budj Bim National Heritage Landscape was National Heritage listed in 2004. For more information about Aboriginal building, begin with these sites.